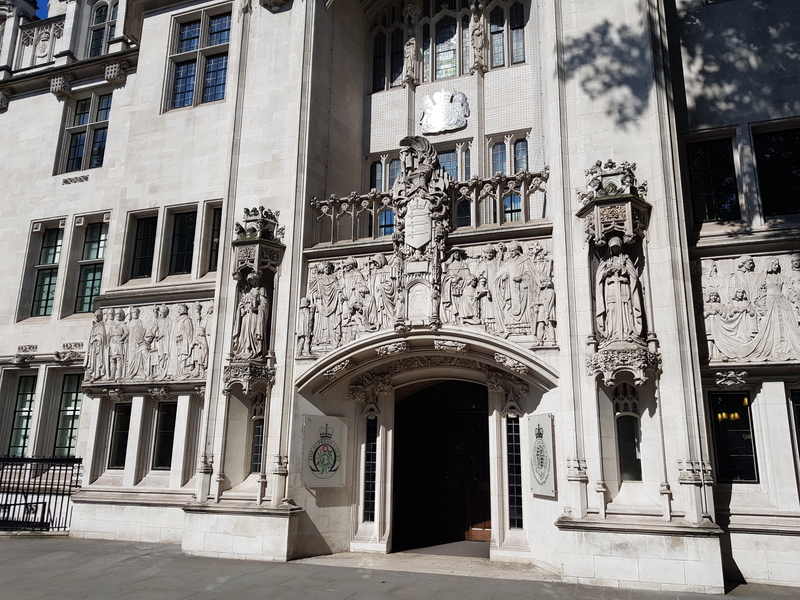 Unlock, the leading charity for people with convictions, has today responded to the judgment of the Supreme Court on the criminal records disclosure regime. The charity provided an intervention to the court to highlight the unjust consequences of the current regime and the alternative, fairer systems available. In the last 5 years alone, over 1 million youth criminal records were disclosed on standard or enhanced criminal record checks that related to offences from more than 30 years’ ago. The current system has multiple, harsh consequences which can have damaging effects on individuals. It deters people from applying for employment, and causes high levels of stress, anxiety and feelings of shame and stigma for those who do apply. The current regime acts as an additional sentence that often runs for life. It desperately needs reforming. While certain offences clearly should be disclosed to employers, it is plain common sense that a fair system should not unnecessarily blight the lives of people who are trying to get on in life by disclosing old, minor and irrelevant information which holds them back and stops them from reaching their potential. Some of the shortcomings of the current filtering system have today been recognised by the Supreme Court. The court described the rule for disclosing multiple convictions and its impact on individuals as ‘capricious’ (para 63). The inclusion of youth warnings and reprimands in the disclosure regime is described as a ‘category error’ and an ‘error of principle’ (para 64). Creating a distinct system for the disclosure of criminal records acquired in childhood, and taking a more nuanced approach to those acquired in early adulthood. Crucially however, we believe that the system must have a discretionary filtering process with a review mechanism which could be accessed by people whose criminal records do not benefit from the automatic filtering rules. Although the Supreme Court did not consider this to be necessary for the regime to be in accordance with the law, we believe this is vital to allow some cases to be considered on a case-by-case basis, to ensure that the rules do not operate unfairly. We urge the government to take this opportunity to look at introducing such a scheme that incorporates lessons from other similar schemes, like that in Northern Ireland. More broadly, there is an overwhelming case for a fundamental review of the criminal records disclosure regime. Reviews by the Law Commission, Justice Select Committee, Charlie Taylor and David Lammy MP have all concluded that there is a need to look at the wider regime. The criminal records disclosure system and the Rehabilitation of Offenders Act 1974 are increasingly unfit for purpose and is open to abuse by employers and others. We encourage the government to take this opportunity to commit to carrying out a fundamental review to address these systemic issues. 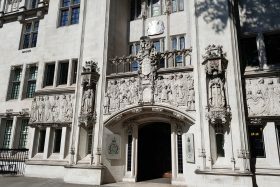 “We are delighted that the Supreme Court has upheld the decision of the Court of Appeal in favour of our client and are proud to have secured a landmark judgement that will benefit thousands of children issued with cautions each year, a shocking disproportionate number of whom are from Black and Minority Ethnic backgrounds. Christopher Stacey is Unlock’s spokesperson. Profile here. Unlock was represented in these appeals by Salima Budhani and Theodora Middleton, Bindmans LLP, and barristers Caoilfhionn Gallagher QC and Jesse Nicholls, Doughty Street Chambers. The judgment was handed down on Wednesday 30th January 2019. Press summary here. Press and media coverage of the judgment can be found here. Warnings and reprimands are now known as youth cautions. These appeals consist of 4 cases: P, G, W (appeals from the Court of Appeal of England and Wales) and Gallagher (an appeal from the Court of Appeal of Northern Ireland). Unlock intervened in the case. Anita (not her real name). When she was 11, she was playing with a lighter in the girls’ bathroom at school and set a toilet roll alight causing around £100 of damage. She was arrested for Arson and told that the reprimand she was given would come off her record when she turned 19. Then after months of being bullied in secondary school, she was involved in a fight. She and the other pupil were both arrested for Actual Bodily Harm. She was encouraged by the police to accept a reprimand rather than challenge it in court and was told it would come off her record in five years. Now nearly in her thirties, she’s a qualified English teacher. However, not only was her record not removed like she was told it would be, but her two reprimands come up on enhanced DBS checks and will do under the current DBS rules for the rest of her life. The hopelessness of trying to find work has led her to working abroad and to bouts of depression and anxiety. Michael (not his real name). When he was 17, Michael was convicted of theft of a coat from a market stall. He was fined £30. Ten months later, 23 days after turning 18, he was convicted of stealing a motor cycle and driving without insurance. He was fined £50 and sentenced to 24 hours at an attendance centre. That was 36 years ago; he’s come a long way since then. He’s now in his fifties. However, Michael’s long-forgotten past has come back to haunt him and he’s concerned about his work as a finance director. He could lose his job and a career that he’s worked hard for. Under the current filtering system, Anita and Michael’s criminal record will be disclosed on a standard or enhanced DBS check for the rest of their lives. That’s what we’re trying to change. More case studies can be found in our youth criminal records report and in our briefing on the DBS filtering regime.